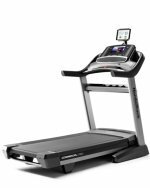 The Spirit XT200 treadmill represents another improvement in the overall design of the frame and components, in addition to giving you plenty of functions for your money. The Spirit XT200 treadmill is an excellent balance between function and style. The overall design is attractive to look at and the sturdiness is remarkable. This is a folding treadmill and great for storage in tight spaces. UPDATE: The Spirit XT200 treadmill has been discontinued and is no longer available for sale. Check out the latest available models here. Fitness experts feel that the running area provides for a comfortable ride, providing ample room for a little extra movement when running and walking. Testers often comment on the Spirit XT200’s wireless chest strap for heart rate monitor. The chest strap is an excellent addition as hand grips can sometimes be awkward to use on a treadmill, especially when you’re running at faster speeds, causing imbalance and falls. Actual users of the Spirit XT200 like the ability to monitor their treadmill workout from any angle, with display readouts that are easy to see and change, even in the dot matrix format. You can check your calories burned as well as the time you’ve already covered to get the most of every minute. 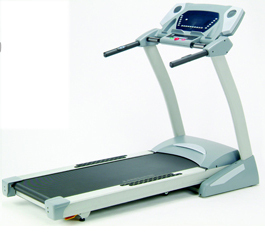 Consumers are sold on the superior warranties that Spirit offers with this treadmill, allowing their investment to be protected for as long as they decide to use the equipment. The recent $100 price drop for the Spirit XT200 treadmill has made this model even more of a bargain, in our opinion. The features are simple to use and the overall design is going to last you a long time – and suit a number of family members and even friends. Spirit treadmills are some of our favorites and this budget friendly model is another star in our book.